A local menu featuring Kagoshima Berkshire pork cutlets & sandwiches, an Asian menu featuring the café's popular pho, and a variety of dishes including pancakes and combination plates—plus a very popular open drink bar and soup bar. Enjoy a leisurely meal against the grandeur of the Kirishima mountains. 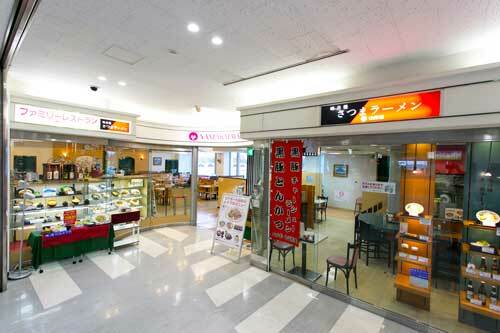 Take a breather at this self-service cafe featuring Doutor brand direct-delivered fresh coffee beans. 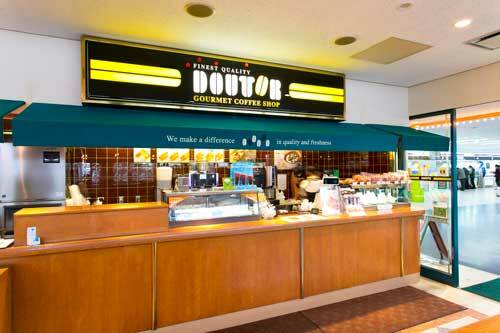 Enjoy the taste of Doutor's genuine coffee drinks and wide variety of food. Offers the tastes of Kagoshima: tonkotsu pork ramen, udon & soba noodles, champon noodles and fried rice featuring Kagoshima Berkshire pork, glasses of beer, Japanese shochu liquor, & Japanese pub snacks. 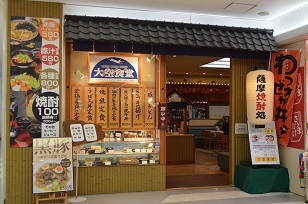 Oozora Shokudou offers its famous keihan (chicken & rice) smorgasbord & pork miso soup special—all for 580 yen! It also features a variety of meals & donburi rice bowls starting at 800 yen, as well as local Japanese pub snacks and a regular stock of over 100 brands of Kagoshima's delicious sweet potato shochu liquor. 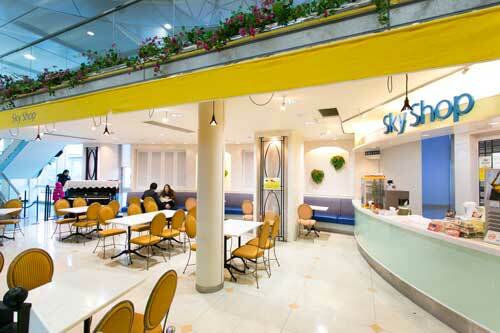 For busy early birds, we have our 10 a.m. breakfast buffet for 800 yen! 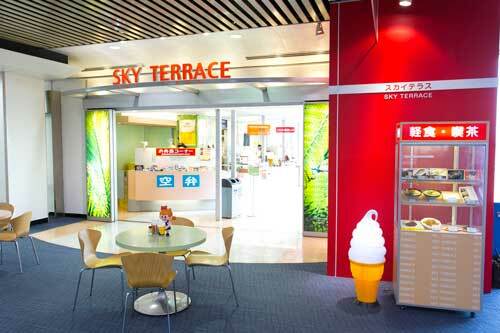 Located on the 2nd floor departure lobby; offers an extensive menu featuring a wide variety of local cuisine. Everyone from children to seniors, from single travelers to small groups will find something they enjoy. 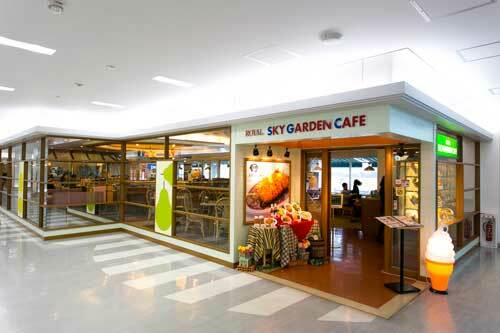 Airport Yamakataya Saika features a calm, sit-down restaurant atmosphere and specializes in Japanese cuisine, Chinese cuisine, and sushi. 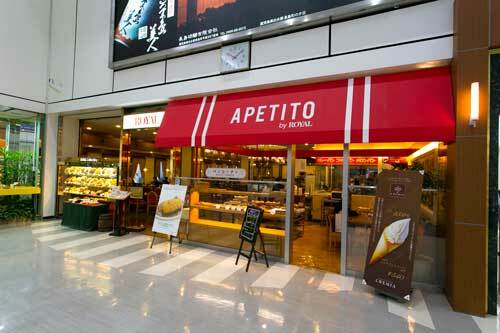 Choose your favorite cuisine from its vast menu. The selection of dishes made from quintessential Kagoshima ingredients, such as Kagoshima Berkshire pork & kibinago herring, is particularly popular with guests from outside the prefecture. 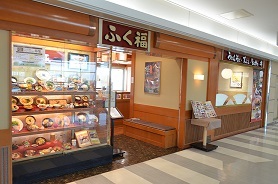 Offering a variety of dishes featuring pork cutlets & filets, focusing on udon & soba noodles. Enjoy the robust texture & unique sweetness of Kagoshima Berkshire pork. 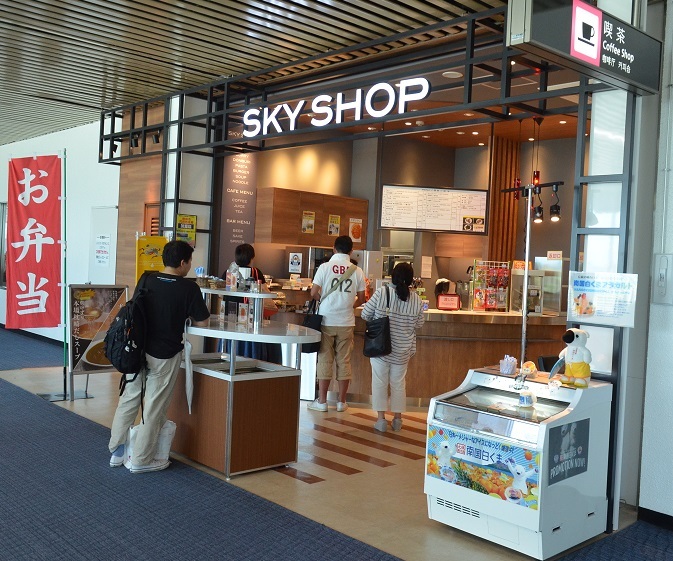 Give it a try the next time you drop by Kagoshima Airport! Watch aircraft take off & land before your eyes against the magnificent Kirishima Mountains. 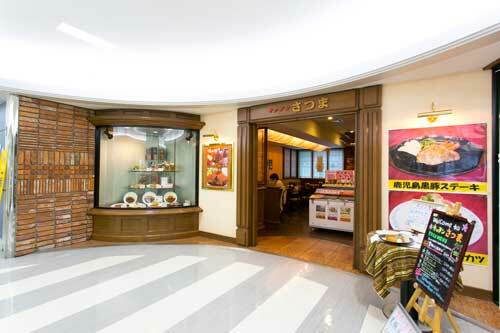 Enjoy the Royal Coffee Shop's popular authentic Kagoshima Berkshire pork cutlets & wide variety of donburi rice bowls, as well as its Satsuma à la Carte menu. Come taste genuine Shiratsuyu Kuro Koji Japanese shochu liquor, made from fine sweet potatoes grown in the sunlight of southern Japan and sweet natural water from the foot of Kaimondake. You can even buy a bottle to keep on premises! 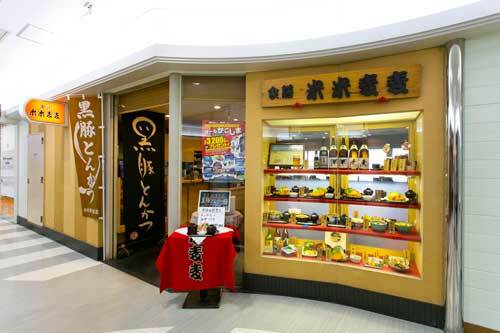 Popular for its local Kagoshima Berkshire minced pork cutlets & the hotel's special curries. The chef's special juicy minced pork cutlets feature delicious Kagoshima Berkshire pork that just melts in your mouth. Enjoy Kitchen Satsuma's original Japanese sweet potato shochu liquor, too! 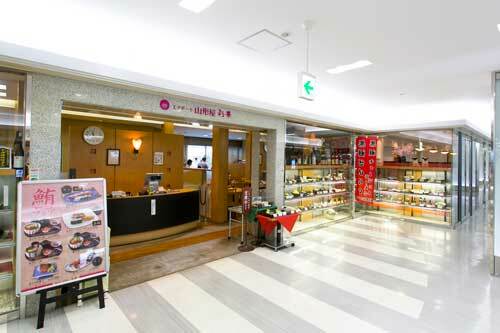 Offers a variety of light meals—mainly Satsuma udon & soba noodles—as well as local Kagoshima Japanese shochu liquor and kurozu aged black vinegar drinks. Gaze at the Kirishima Mountains from the windows and relax as you watch the aircraft up close. Offers bento boxes featuring unique Kagoshima ingredients, including kibinago herring sushi and our popular Kagoshima Berkshire pork bento box lunches. Take a quick break before departure. Operates starting one hour before the immigration inspection time for international departures.